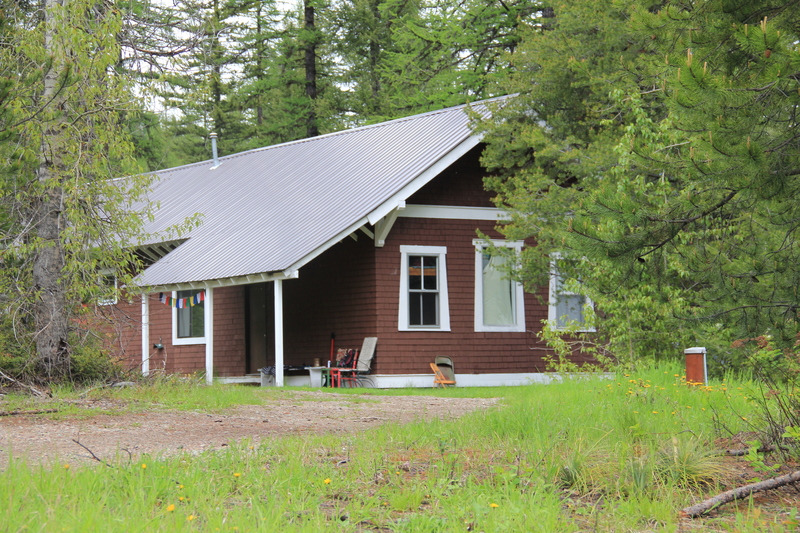 For more than a week many have been anxiously following one of the 2015 wildfires along U.S. Highway 2 that threatens the town of Essex adjacent to Glacier National Park. 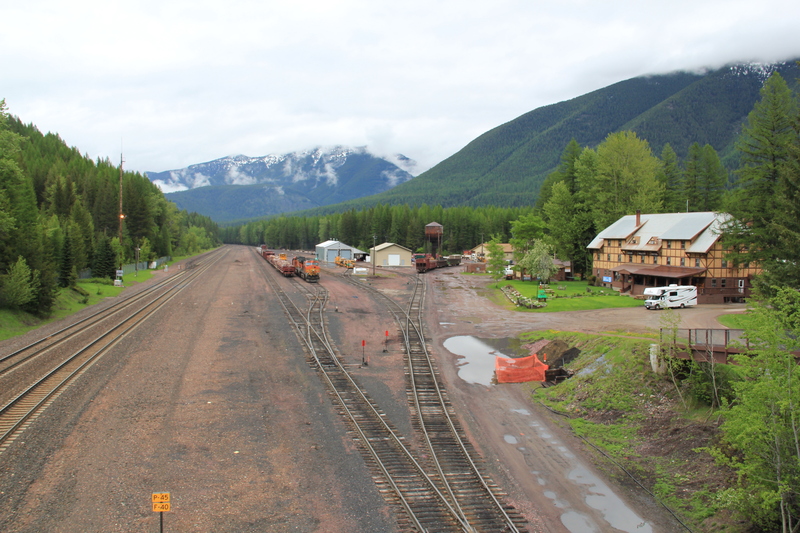 I must admit a very personal concern because 30 years ago there was not much to Essex, except for its historic Great Northern Railway dormitory and the switching yards, where the railroad could add engines to help trains cross the Logan Pass. At the state historic preservation office in Helena, I had just worked with Pat Bick and Marcella Sherfy on an exceptional significance statement to place the dormitory, which was not quite 50 years old then but certainly the town would have existed without the presence of the dormitory, in the National Register of Historic Places. 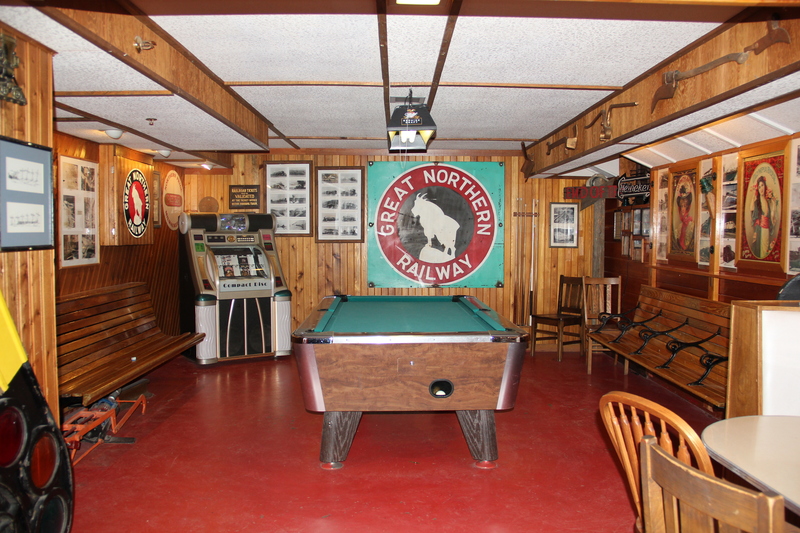 Back then travelers wishing to stop there just crossed the tracks, as generations of railroad workers had done, and came into the dormitory, which actually was little changed except the lobby had a desk to greet visitors, and the basement floor became a very nifty bar. 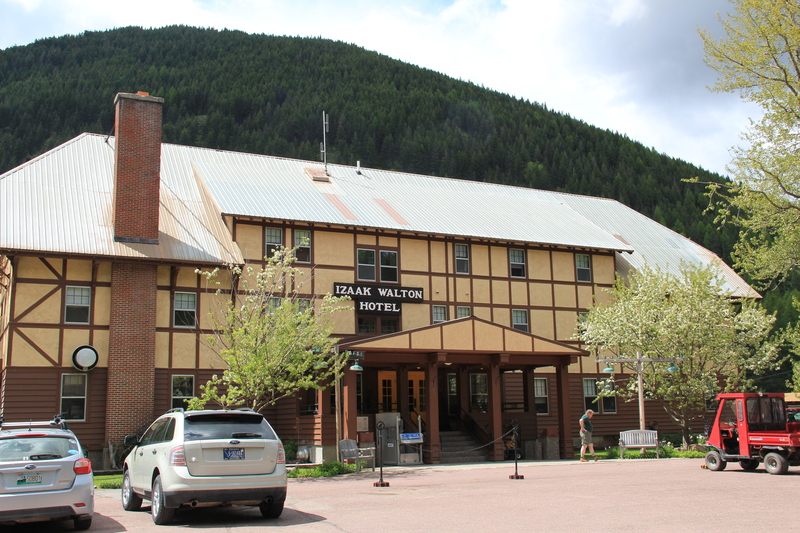 Since the mid-1980s, Essex grew as a place as the Izaak Walton Inn grew as a business. 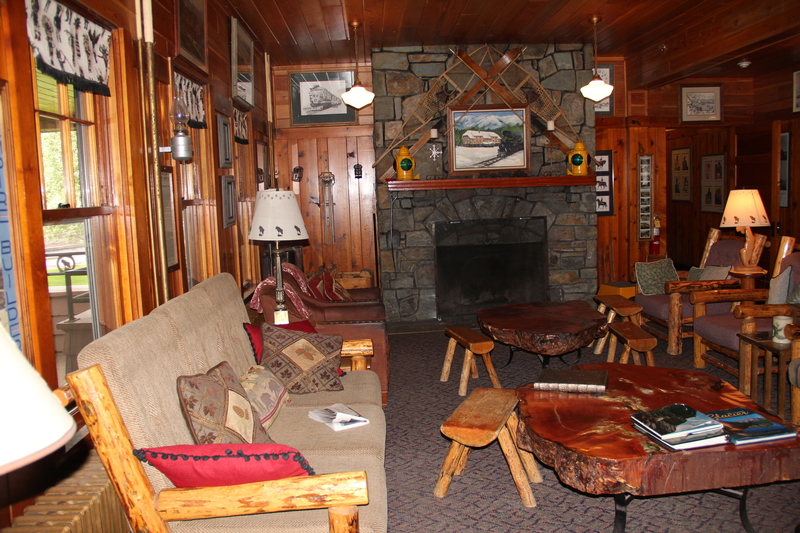 Additional buildings were added to the north side of the tracks, even an old school building was repurposed into a mini-meeting lodge. At some point in the 1990s or early 2000s (I didn’t get to Essex between 1995 and 2005) a pedestrian bridge was installed over the tracks, which suddenly gave you a different perspective on the old dormitory and the railroad tracks that it had served. This view of the historic Great Northern main line, looking east toward Logan Pass, became one of my favorite spots in the state. Here you still had the look and feel of the early 20th century when the railroad created a new engineered landscape through the mountains, and also had modern marketing had taken hold of the railroad’s image, as the vaguely Swiss Chalet look of the dormitory fit well into the entire design aesthetic that the railroad pursued in its Glacier National Park operations. 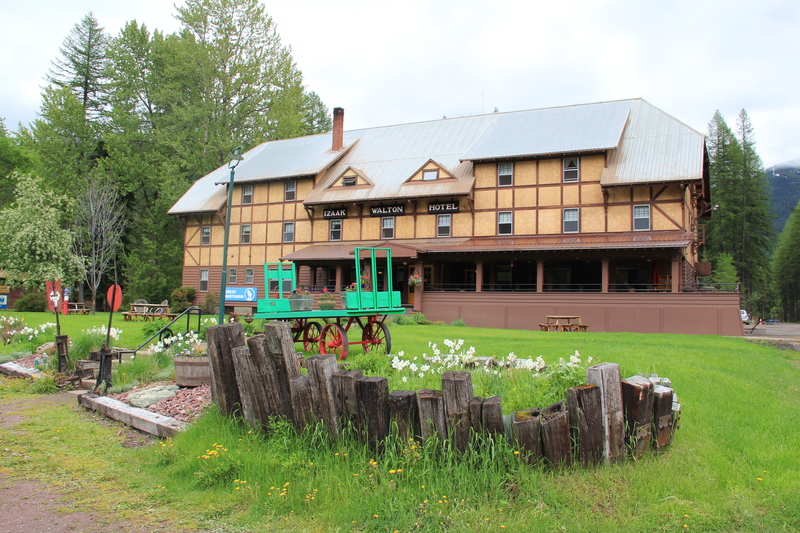 The Inn now has a busy winter season as skiers come here for lodging, often traveling by Amtrak train. 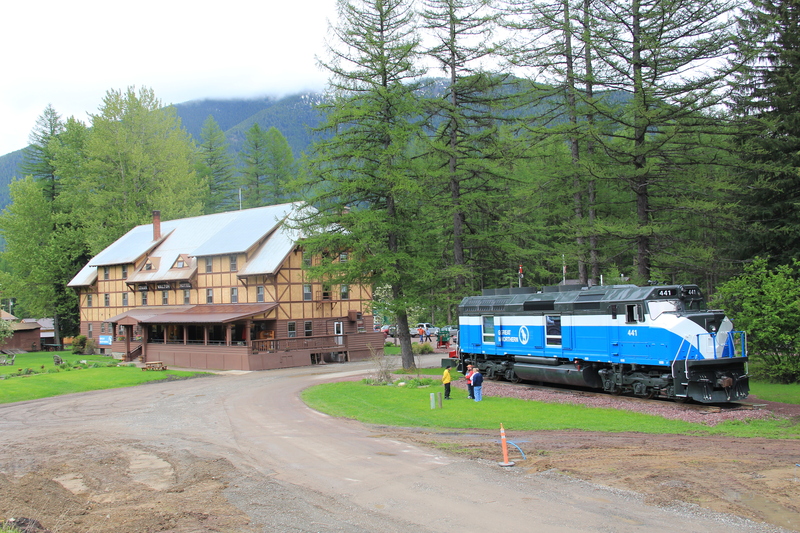 The business has expanded in many different ways, with even old Great Northern engines being repurposed into overnight lodging. 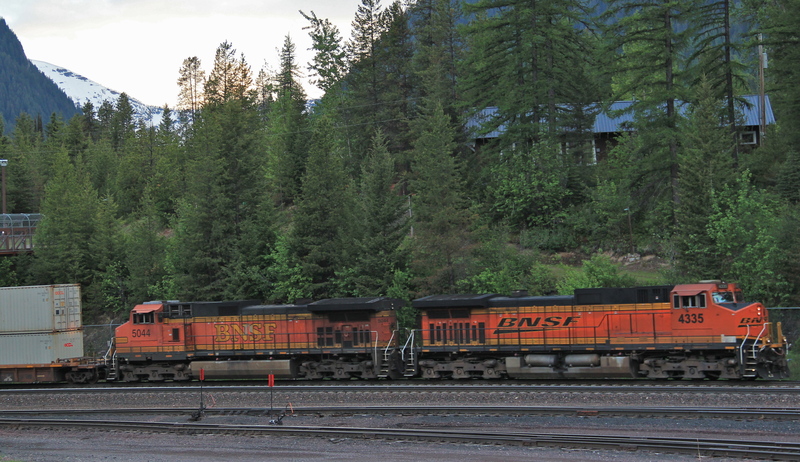 officials of the BNSF Railroad that the company is wetting down its historic avalanche sheds not far from Essex and visible from U.S. Highway 2 at several places. If luck doesn’t come, a distinctive historic landscape could disappear. 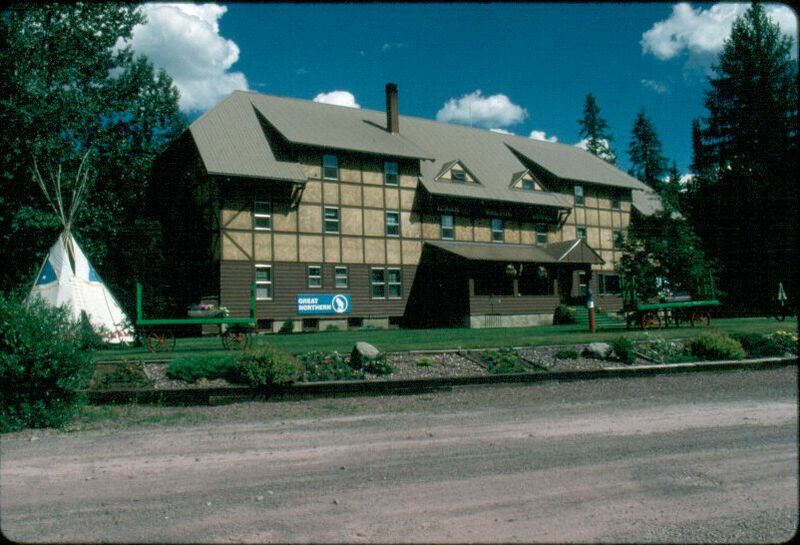 This entry was posted in Montana historical landscape and tagged 2015 Montana wildfires, avalanche sheds, Essex Montana, Flathead County Montana, Great Northern Railroad, Great Northern Railway, Izaak Walton Inn, National Register of Historic Places, U.S. Highway 2 by carrollvanwest. Bookmark the permalink.